A brand new solution for automatically removing milking unit from Cow or sheep and goats with accuracy, when volume of milk flow drops below a pre-configured minimum flow rate. 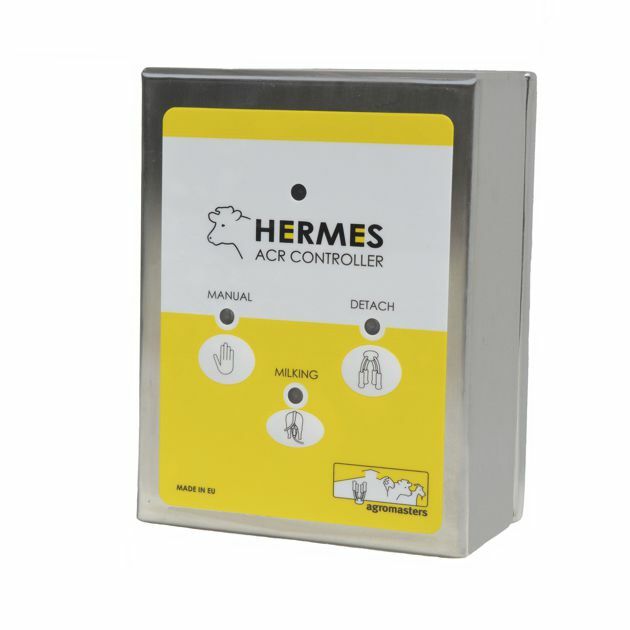 Hermes ACR system can create substantial increase in productivity per milker.. The integration of HERMES ACR controllers in any type of milking system can help maintaining milk quality ,increasing milking efficiency & reducing animal health issues , which is usually coming from over – milking periods.